Dr. Youn, I must disagree with you and agree with Sofia. Madonna's plastic surgery has become far too obvious and has changed her overall facial structure (albeit, the surgery is very well done). Not having a single wrinkle at 52 is unnatural, and unfortunate, and belies a deep insecurity. Madonna has always been hypercompetitive, especially against other women, and her surgery reflects that. I agree with - nothing more obnoxious than a 38-year-old dissing plastic surgery. You are right - let's see how she looks at 53 without any plastic surgery. Maybe like Brigette Bardot, that icon of "aging gracefully." Yeah, we should all aspire to look like the current version of Brigette Bardot. What a twit this woman is. I hope Vergara was limiting her criticism to the distorted faces (most of which seem to be in LA, what's going on out there ??? ), and not plastic surgery in general. 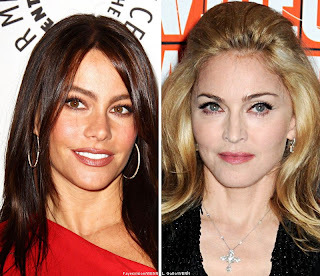 I think Madonna looks pretty good, her cheeks bother me but everything else looks great, IMHO.